GHMA is pleased to announce that Todd Dust and Henk Kampman have been promoted to Associates in recognition of their contributions to the firm. Todd Dust is based out of GHMA’s Kelowna office, where he acts as a Senior Architect and the Manager of Health Care projects for GHMA. Todd received his undergraduate degree from the University of Manitoba and his graduate degree from the University of Melbourne. Immediately upon graduation, Todd returned to Canada where he developed his experience in both public and private sectors. Todd has been a registered Architect since 2004. Throughout his professional career, Todd has specialized in the design and implementation of acute health care projects. Todd is currently pursuing a diploma in Lean Design through Washington State University. 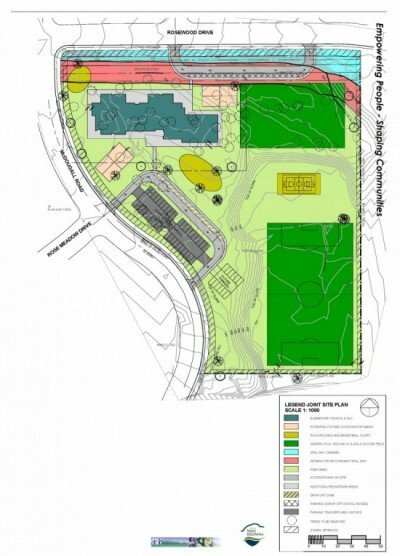 Todd’s most recent experience includes involvement in the Facility Renewal Plan for Mills Memorial Hospital in Terrace and Mar Jok Elementary School in West Kelowna. Todd has a proven track record managing complex renovations within operational facilities and facilitating the collaboration which results in a project’s successful outcome. Henk Kampman, also based out of the Kelowna office, is a foreign trained Architect who has worked as an Architect and an Urban Planner in the Netherlands and Canada. Henk has over 25 years of experience in Architecture, Urban Planning and Project Management, while working for private and public organizations. He is a registered Architect in BC since November 2012. Henk studied Architecture and Building engineering at the Technical University in Delft where Architectural icons like Herman Hertzberger, Aldo van Eijck and Rem Koolhaas helped him form as an Architect and Planner. Currently Henk is following an Advanced Certificate in Educational Facility Planning at the San Diego State University. His most recent work experience involves Educational, Health Care and Civic projects, including the Nicola Canford Elementary School in Merritt, Facility Renewal and Master Plans for Mills Memorial Hospital in Terrace, Tumbler Ridge Health Centre and the Fort St. John General Hospital and the Upgrade of the Waste Water Treatment Plant in Lake Country. Todd and Henk successfully managed the Kelowna office the last two years, doubling the office in size. The skills and passion Todd and Henk bring to their projects is exemplary and we look forward to their ongoing contributions to the success of GHMA. The evening of Thursday, November 21st, clients, colleagues, business partners and friends joined the GHMA team in celebrating the firm’s 50 years in business. The event, hosted at the GHMA Surrey office, featured an appearance by founder Gordon Graham, a live jazz band, great food and drink and the chance to take a look at the work and achievements of the firm over the last half century. Ron Hoffart speaks about the impact of 21st Century Learning on the design of educational environments at TEDx WestVancouverEd. Watch the video here. Carson Graham Secondary School’s official grand opening and dedication, on October 12, 2012, was attended by the Education Minister Don McRae and North Vancouver-Lonsdale MLA Naomi Yamamoto as well as students, staff, parents, school district officials and local dignitaries. 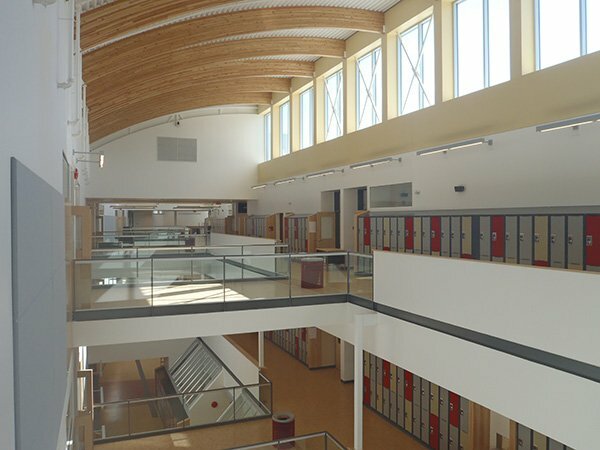 The $38 million replacement school, designed by Graham Hoffart Mathiasen Architects, is being heralded as one of the most technically advanced in the province, offering a robotics and pre-engineering lab, computer animation design facilities, a full professional teaching kitchen, computer labs and high-tech audiovisual and data systems for classrooms. School District #23 (Central Okanagan) has selected Renaissance-GHM Architects to design a new Elementary School in West Kelowna. Mar Jok Elementary, named after a pioneer in the local Chinese Canadian community, has a budget of $12 million and will be built in the growing Rose Valley residential area. The school will accommodate 400 Grade 1 to 6 students and 60 Kindergarten students to ease the overpopulation of other elementary schools in the area. The design will be completed in six to eight months to allow for construction to be completed before the start of the 2014 school year. The school will have a Neighbourhood Learning component with space available for community activities in the evenings and weekends. It will be one of the first Neighbourhood Learning Initiatives in the Okanagan. GHMA has a long tradition of designing K-12 schools and incorporating the latest educational philosophies (21st Century Learning) into the designs. See the full article in the Daily Courier. The province has announced funding approval for the new Mar Jok Elementary school to support the growing district. Read more on the BC Government Newsroom.